Coffee is a morning elixir for many. Some people are so addicted that they are unable to barely function unless they take their morning cuppa. If you have a coffee shop, you would have noticed how people rush in and want a take-out coffee within minutes? Can you imagine handing out real cups every time a customer wants a take out? This is why you need Takeaway Coffee Cups because they make absolute sense for your business. A paper cup can be disposed after use and comes lined with a bit of wax or plastic to prevent liquid soak through the paper. Many companies these days are using recycled paper coffee cups that is not only good for the business, but also for the environment. The disposal cups have increased in popularity all over the world and the demand for it is at an all time high because people need their morning cup and they need it in a hurry! 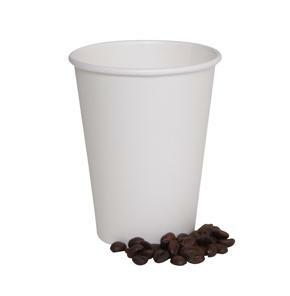 If your business is into serving coffee to its customers and you are a preferred coffee shop for your neighbouring clients, then perhaps it will be a good idea to introduce the benefits of disposable paper cups. Here are some reasons why you should consider it. As the pollution and global warming is at an all time high, your first responsibility is towards the environment. This means that as a business, you should use products that are eco-friendly. Since paper cups are not made of harmful plastics or Styrofoam, the material is usually biodegradable, that is it will not leave any carbon footprint behind. They decompose through natural process and can also be recycled to be used again. The takeaway cups will give your customers the convenience of taking it away with them, wherever they go. They are ultra lightweight can be stored easily, without asking for too much space. When you give cups or glasses, they become an extra pile of work for you to wash and restock them, not to mention the risk of breaking them. Between plastic and disposable cups, latter is obviously much safer to use. They do not contain any toxic element that can pose a threat to you or your health. They are also incredibly environment friendly. You can introduce all kinds of varieties with different shapes. You can also customize the cups for your regular clients, giving them another reason to stop by. Print your logos, messages or think of a quirky design. You can be very creative with paper cups without attracting a heavy cost. Takeaway cups are a great idea and something you should introduce to your coffee shop for your customer’s ease.